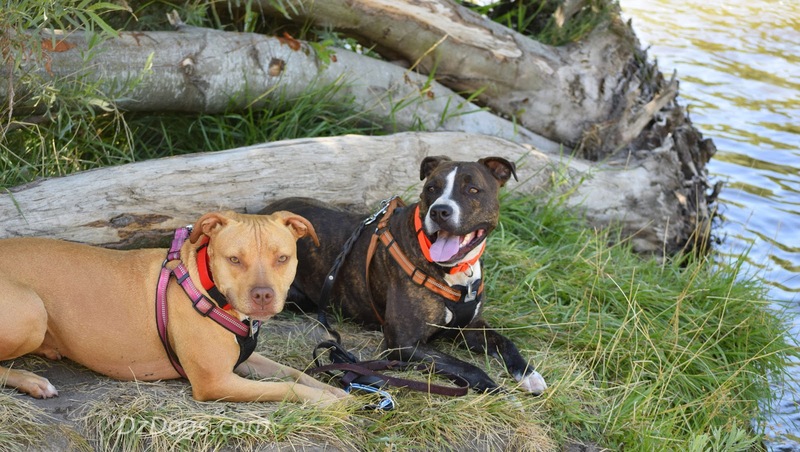 DZ's Adventures: Two Pits In A Pod! Two Pits In A Pod! What has 12 legs, 4 wheels, and barks? We're so excited to announce that we closed on our property! To catalog this next chapter in our lives I've started a blog dedicated to following our journey as we build our dream home. I hope you check it out! Why two pits? Well you could look at it a couple ways... two humans to pit in a pod...errr camper trailer, two "pits" in a pod in the literal sense as in dogs, or a rather cuter version of "two peas in a pod" myself and my cute hubby. This is the story of a family. A family about to embark *emphasis on the bark! * on a new adventure! This blog will be about us documenting all of our silly adventures, misadventures, the stages of our home building adventure, and life inside a small RV with two full size dogs. Two Humans, Two Pups, One RV. Living Big, While Living Small! 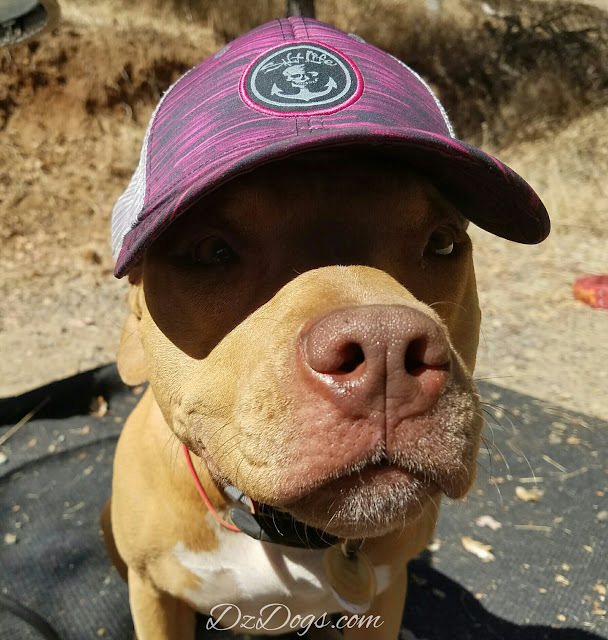 DzDogs.com is going to remain dedicated to the pups, their fun filled adventures, training tips, nutrition, and product reviews. But we certainly would love it if you checked out our sister blog! Congrats!!! How exciting! And you are rocking that hat! Thank you Murphy!! We're doggone excited! Wow, sounds like things will be interesting for quite some time! But how exciting too!! Very exciting! Can't wait until we break ground! Hahahaha! She is certainly darn cute! She's her daddy's sweet heart! What's Going On With That Cup?